Plans to remove automatic entitlement of elderly North Lanarkshire residents to community alarms will be reviewed. In March the Health and Social Care Integration Joint Board for North Lanarkshire agreed to remove automatic entitlement to community alarms from people aged over 75 who live alone. However, this will now be reviewed in 2020 after Conservative councillors successfully passed a motion during the recent full council meeting. The IJB will now re-evaluate the decision after a report is prepared, recommending needs-based assessments be dropped and anyone aged 75 or older, who lives alone, will automatically be entitled to a community alarm. The motion was proposed by Motherwell South East and Ravenscraig councillor Nathan Wilson, seconded by Bellshill representative Colin Cameron. After the SNP group backed the motion, an amendment by depute leader Paul Kelly was defeated by 30 votes to 29. 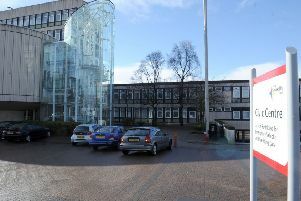 Council leader Jim Logue claimed that the vote dispelled claims the Conservatives are in an unofficial coalition with Labour.